Fortnite Season 7 has released. 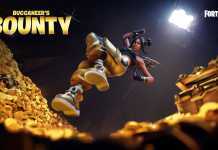 Yes, the new season of Fortnite has gone live today and with a new season comes a new Battle Pass. Fortnite Season 7 Battle Pass is just like the old battle passes but with newer skins and items. So, let’s check out the Fortnite Season 7 Battle Pass Tiers and the Fortnite Season 7 Battle Pass Rewards given. 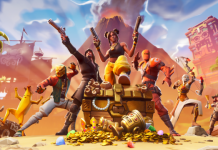 The Fortnite Season 7 Battle Pass Tiers and Rewards can be earned by completing each tier of the Fortnite Season 7 Battle Pass. At 100th tier, you can unlock the ‘Ice King Skin’. You can have a look at Ice King Challenges or How to Unlock Ice King Skin. You can also skip a tier or many tiers by giving up some of your precious V-Bucks. But more easily, you can complete the weekly challenges or the extra challenges like Snowfall to level up your tiers and get various items. The new addition to the cosmetics and items are the ‘Wraps’. Well, the wraps work when you switch to a weapon or board a vehicle. That particular thing will be wrapped with the skin you have activated in your Locker. There are more cosmetics like back blings and other usual items. Let’s take a look at Fortnite Season 7 Battle Pass Tiers and the Fortnite Season 7 Battle Pass Rewards awarded by completing those tiers. 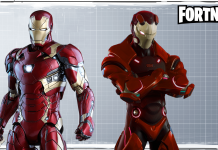 These are not the only skins that will be coming in Season 7 though, as data miners have already leaked some of the other upcoming cosmetics. Another benefit of buying the battle pass is that you will get exclusive early access to the new Fortnite Creative mode starting December 6, with non-battle pass owners getting access 7 days later, on December 13. Previous articleLeaked Fortnite Season 7 Loading Screens! 118 Full Movie leaked by Tamilrockers to Download ?